Spring has sprung and flowers are in the air. A fun, recyclable craft for spring are these soup can flower pots. A decorated and finished pot also makes a great gift for teacher appreciation day or even mother’s day! 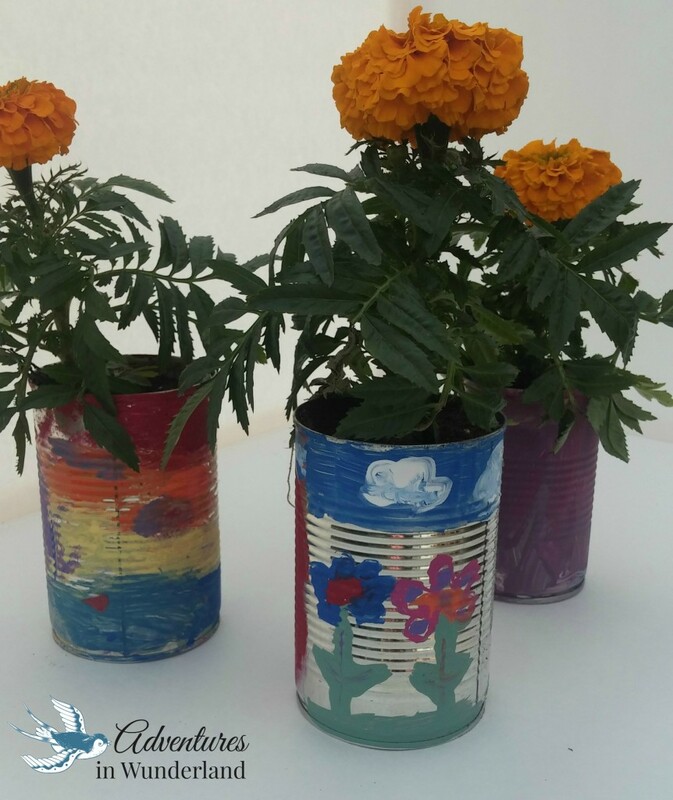 The flower pots are made from simple recyclable materials and are so very easy for kids of all ages to decorate. All you will need are a few supplies and adequate drying time for the paint. Since you need to allow the paint to dry before planting the flowers, you may want to do this as a two-part or two day project. Next comes the fun part, paint! We let the children decorate as they wished, with the instruction that she should cover the whole thing trying not to leave any metal showing. The more color the better! You can use a variety of paints, colors and brushes to really make each one unique. I love the creativity that came out in ours – my oldest did a flower garden mural, my son created a beautiful sunset rainbow and my little one used a combination of her favorite colors, purple and blue. Finally add soil and flower seeds! Watch them grow at home on the window sill or give them as a gift to a teacher, friend, or family member. This idea is adorable and I can't wait to try it. I love it. It's a great handmade gift for grandma for Mother's Day too!